“So, where is Piccadilly Circus?” I asked when we had walked for a while to find a bookstore and stopped before crossing the street. “We are here”, my boyfriend laughed. I looked around in disbelief. I had been to London in 1997 and the square and its blinking lights had stayed in my memories. The place was so impressive back then, now it was just a regular square to me. Many things change in 21 years and the world of a 32-year-old me looks very different from a 11-year-old me (thank god!). 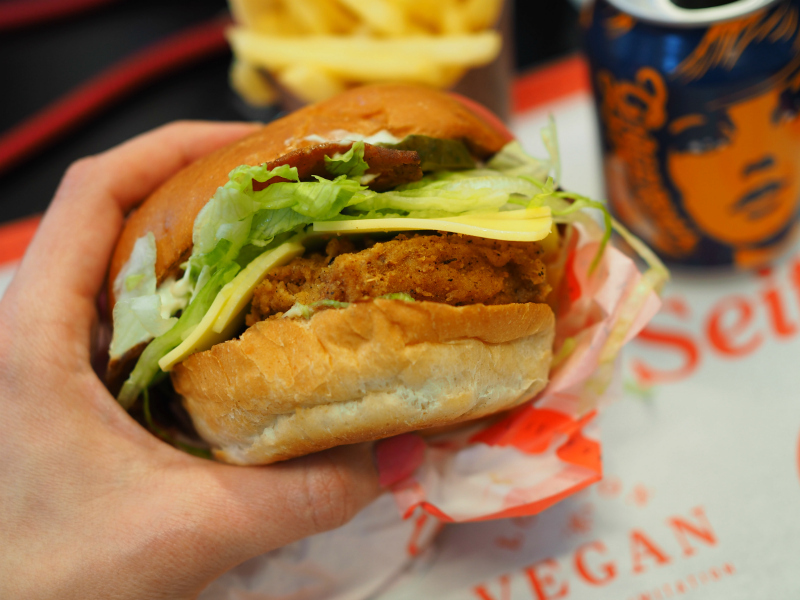 Back in the 90’s I loved going from one tourist attraction to another (Piccadilly Circus included), eating chicken sandwiches and Spice Girls were the best I knew. Girl power has stayed but other than that life is very different. I like to see the neighbourhoods where there is no special attraction, just regular life. No chicken sandwiches will be on my plate ever again but awesome food, hell yeah! London has so much to offer, here are the highlights of this visit. Maybe next visit then in 2039? Hopefully there are no chicken sandwiches on anyone’s plates then. First thing we did in London? We went to the Temple of Camden. I have followed them for a while on Instagram and have drooled a lot seeing the photos of burgers, fries and pastries. It was time to get a burger in my hands. I love love love their visual identity, especially the cool illustrations. The place was packed and we were lucky to find a seat. I ordered the Chick’n Temple Burger with chicken-like fillet, ranch mayo, bacon, cheese, lettuce and pickles. It was so good and I will continue drooling when browsing their Instagram since I know now that the burgers taste as good as they look. 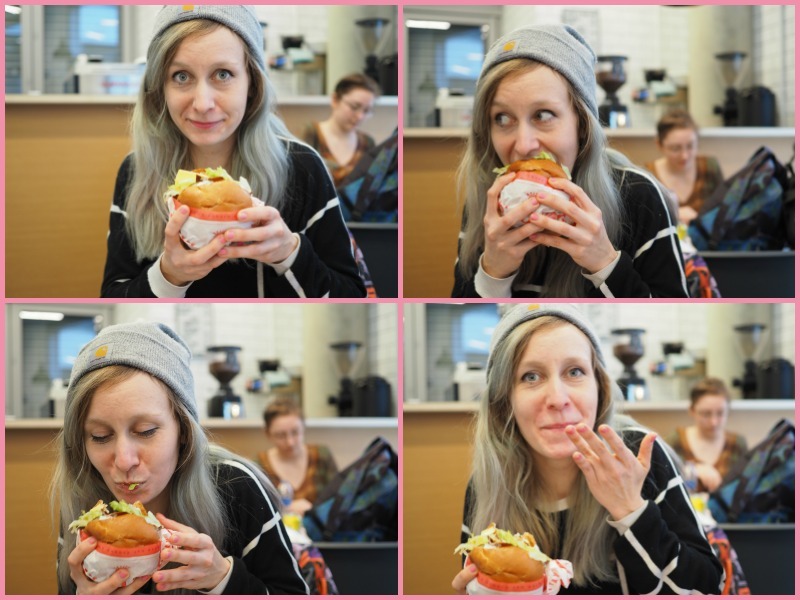 Four stages of biting into burger. 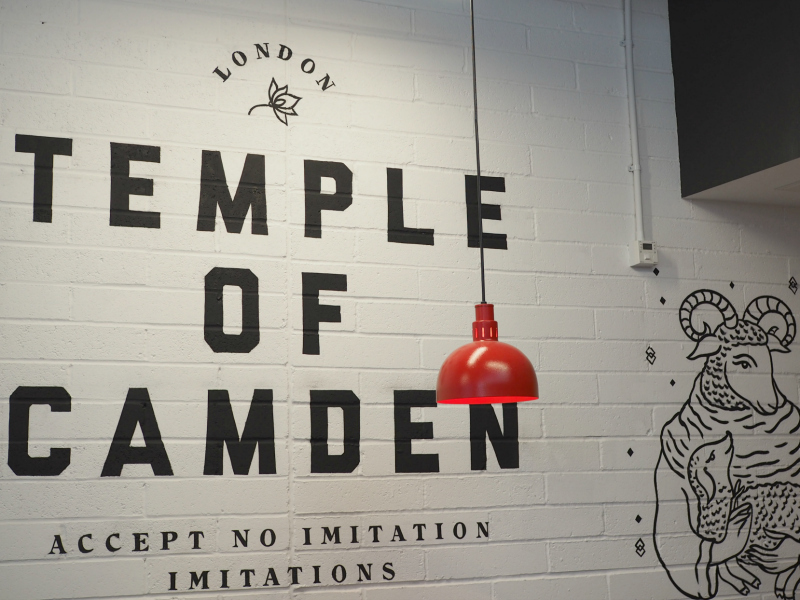 Temple of Seitan has two restaurants, this one in Camden and another one in Hackney. I passed by the one in Hackney and it looked cozy as well, but much smaller with only couple of seats and smaller menu. Temple of Camden had even cookies, cakes and croissants and they serve breakfast too. 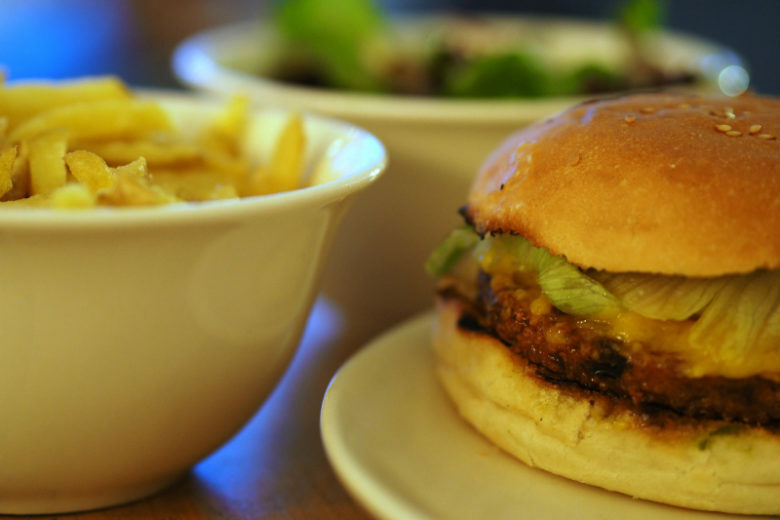 Temple of Seitan also runs a test kitchen, all the locations you can find here. 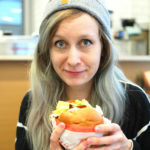 Just before we left Finland I run into a video published on Business Insider. 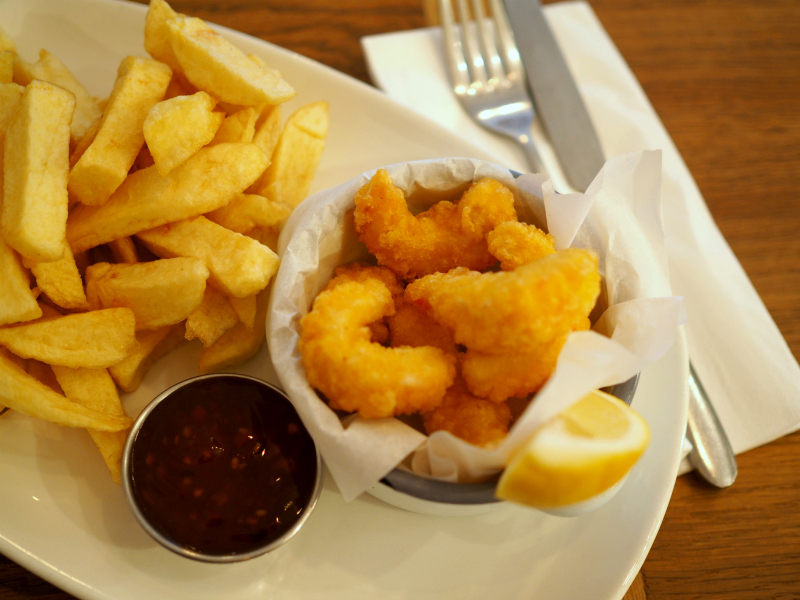 Sutton & Sons is a fish and chips restaurant chain. 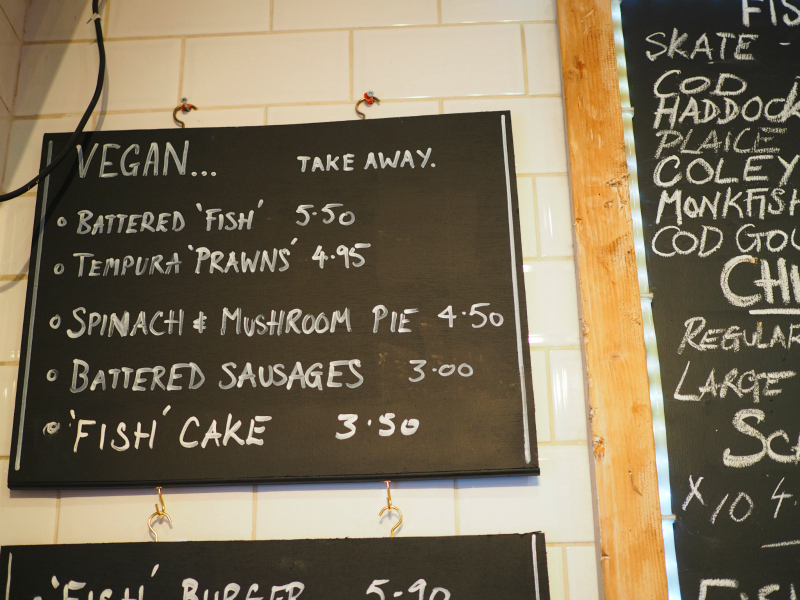 One of their restaurants in Stoke Newington added a vegan fish dish for Veganuary and then designed a whole vegan menu. 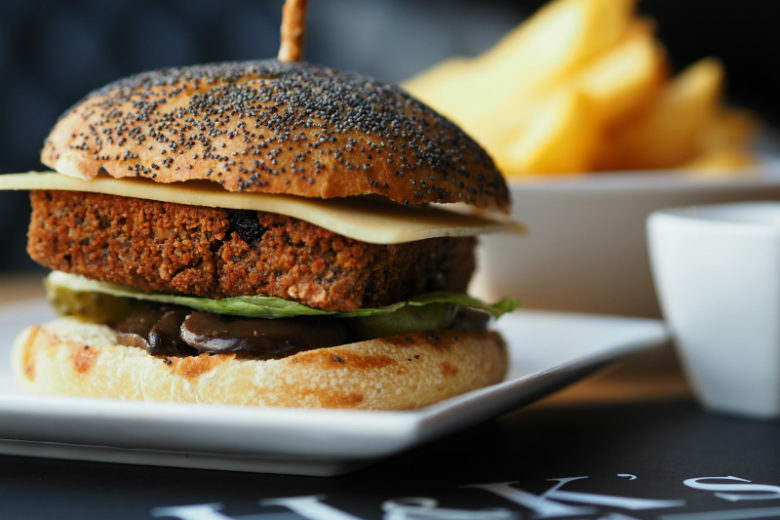 Notice that at least when writing this post, the other Sutton & Sons restaurants didn’t serve vegan food. EDIT 19.10.2018: Hip hip hooray! 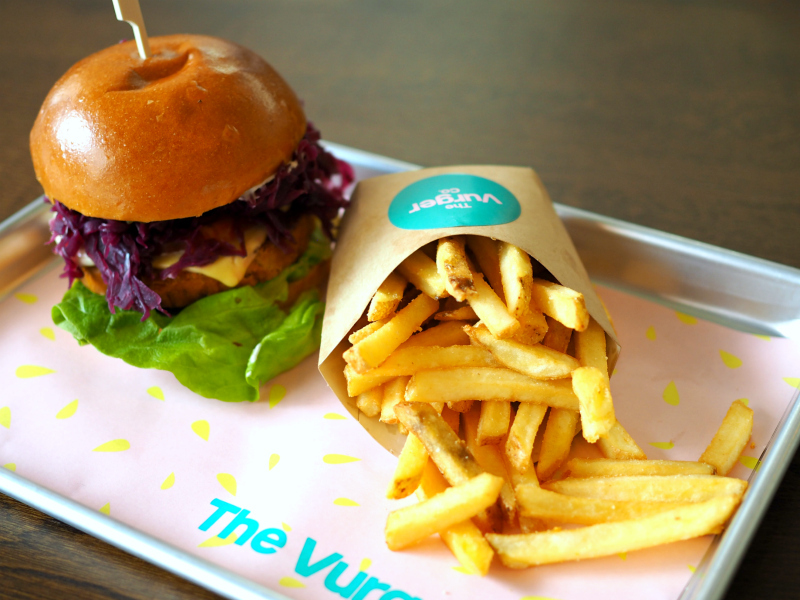 Sutton and Sons has opened a FULLY vegan restaurant in Hackney since my visit and all of their branches now serve some vegan dishes. Four out of five tables were asking for the vegan fish and chips and the waiter was telling everyone the same: There had been so high demand that they had run out of vegan fish made from banana blossom. Luckily, they had vegan prawns that were almost disturbingly real. The waiter told me they were made from Japanese potato to get the right texture. They were marinated in seaweed that the prawns eat to bring the right flavour. Under the batter there was even vegetable patches to make it look like a real prawn. The future is here! This place is a must go. Next time I will order the famous vegan fish and chips. Another of my Instagram crushes! 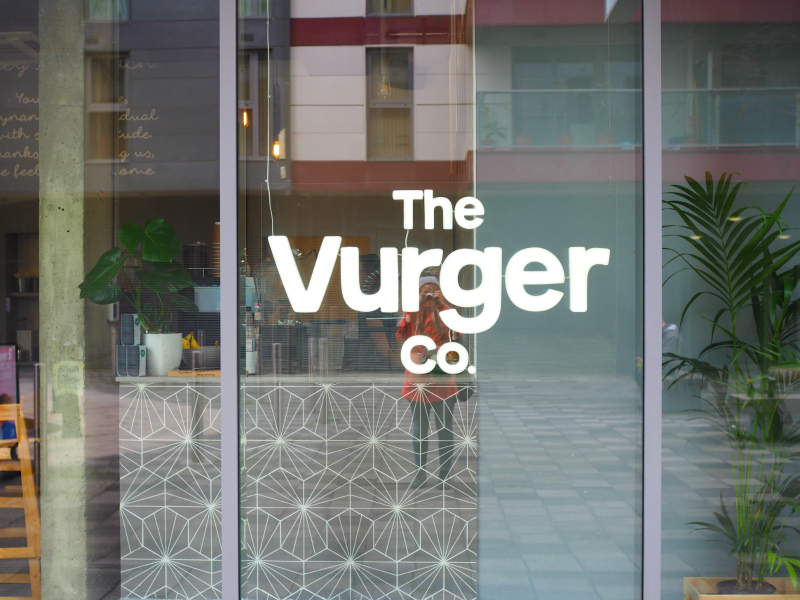 The Vurger Co. had just opened on March. 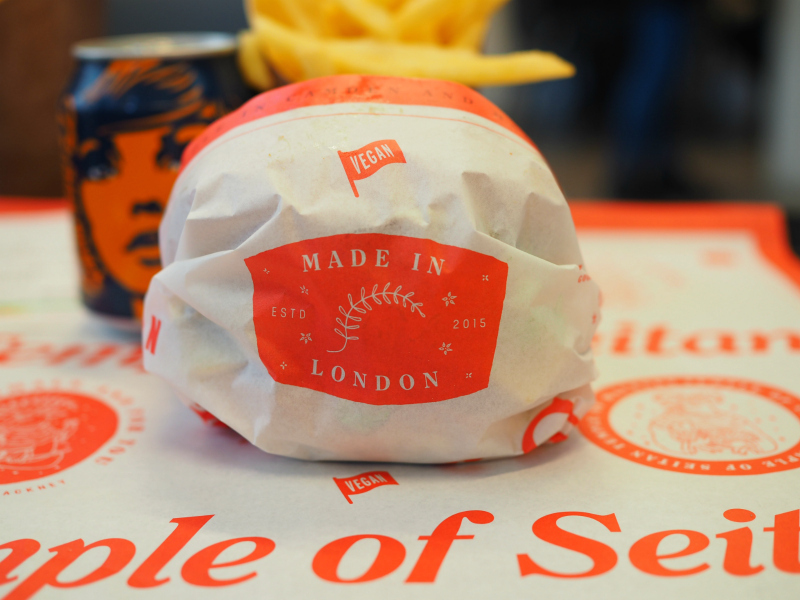 They made a crowdfunding campaign to open this permanent restaurant in Shoreditch. 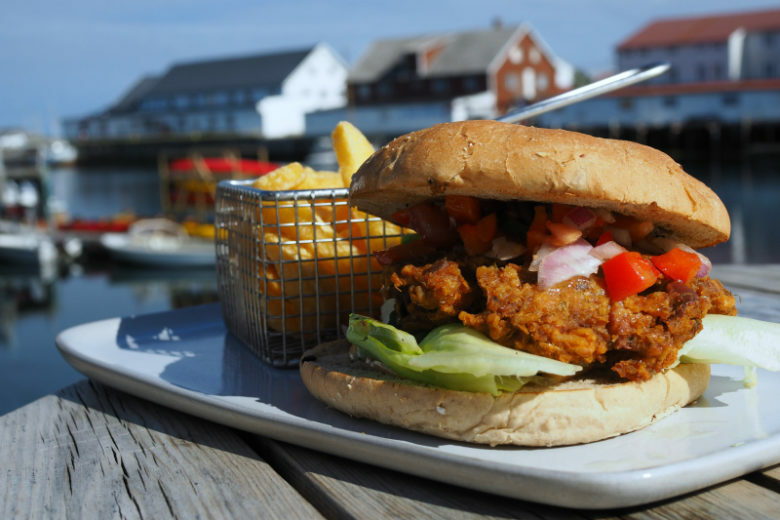 It is all about burgers, as the name suggests. It was really nice place and all the cutlery, plates etc. are recyclable since they are made with plant-based materials. There were four different burgers, I chose the Auburger. It included aubergine (surprise! ), caramelized onion, a bit spicy chickpea patty, pickled cucumbers and cumin mayo. The burger was huge and had to take fork and knife to help. I liked it a lot, even though cumin mayo was a bit of a risk since cumin is not my favourite thing on earth. But no worries, it was delicious. 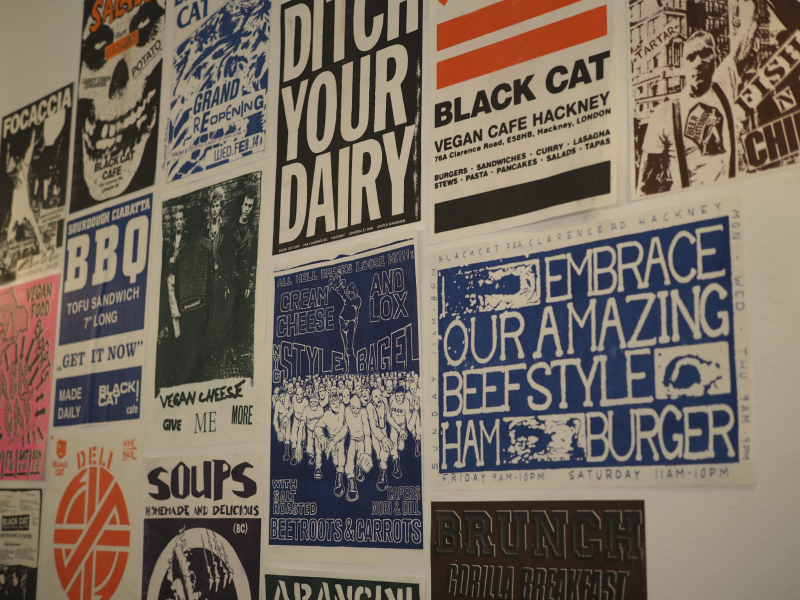 I continued walking down Brick Lane and there were many vegan places there. I couldn’t eat a single bite after that huge burger but maybe next time? 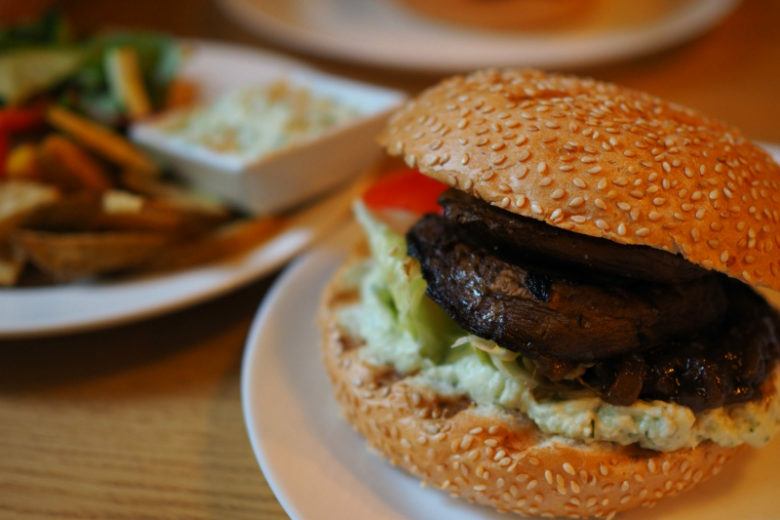 These were the highlights of my eatings in London but there is so much to explore. E.g. 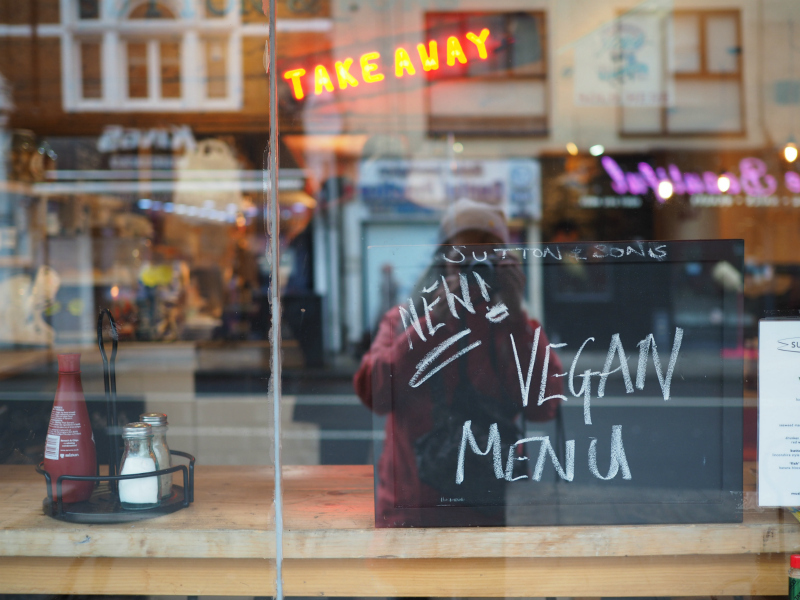 Camden Market has a lot of vegan food, but the tourist masses made me run away before eating. Black Cat cafe in Hackney is a cooperatively run restaurant where I had a nice cheese sandwich and the cakes looked amazing too. The interior is very simple but the atmosphere was warm. Black Cat had the best posters ever <3. Surprisingly enough, we were not able to find many vegan shoe stores in London, many of them operate only online. We did visit The Third Estate and this cute store is worth visit if you are looking for cruelty-free shoes, bags or clothing. 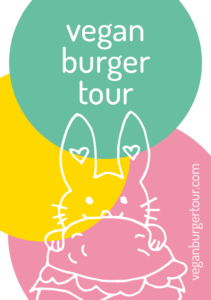 Burger count 15 countries, 26 burgers.